In the years before the outbreak of the war in the Pacific, Guam was a paradise for the Navy, Marine and civilian employees of Pan American Airways, who found themselves stationed on the island. However their apprehension about the fate of the island increased as they anticipated a Japanese attack in the fall of 1941. Shortly after the attack on Pearl Harbor, Guam was bombed and the Japanese invasion soon followed. 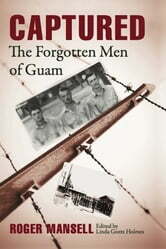 In Captured, Mansell tells the story of the captives from Guam, whose story until now has largely been forgotten. Drawing upon interviews with survivors, diaries and archival records, Mansell documents the movements of American military and civilian men as they went from one Japanese POW camp to another, slowly starving as they performed slave labor for Japanese companies. 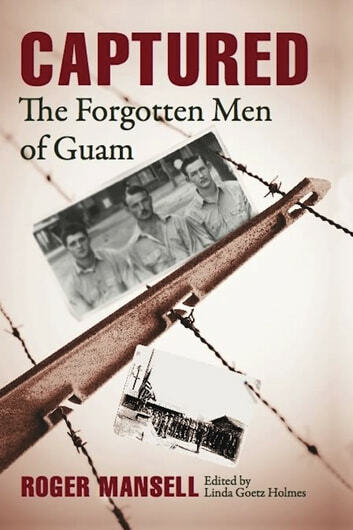 Meanwhile, he describes the brutal horrors suffered by Guamian natives during Japan’s occupation of the island, especially as the Japanese prepared for American forces to re-take this U.S. possession in 1945.